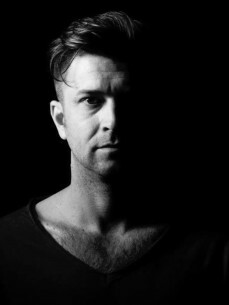 Peter Makto is a Budapest-based house, deep house, tech house DJ/producer who has been making electronic music and playing behind the decks for over a decade. On his emotional and powerful performance whether it is in the biggest club, music festivals, or at the beach he is able to take the public "for a ride" and give them a unique special experience. After his creative and energizing performances it is not surprising that – as he says the most important years in his career – in 2006, 2008, 2009 and 2013 he became DJ of the year in Hungary. The crowd associates Peter's name with quality and experience what they will never forget. He is facing thousands of fans at the biggest Hungarian festivals (Sziget Festival, Balaton Sound, Bónusz Festival, Hyperspace, B my Lake etc.) every year. And not only in his homeland. He stood behind the decks in the finest clubs from Russia to Italy and from the USA to Thailand alongside such famous names - just to name a few - as John Digweed, Dubfire, Sasha, Joris Voorn, Carl Cox, Hernan Cattaneo, James Zabiela, Tiesto, Nick Warren, Jody Wisternoff, Paul Oakenfold and Dave Seaman. Known mostly for his remixes and original tracks, he has also successfully produced all his own songs as well as other DJs. Now being a host on several radio stations around Europe, his ever growing fan base is waiting excitedly on his newest remixes and next endeavours.